Hand-loaders know how to assemble bullet, brass, powder and primer into a loaded cartridge. But have you ever wondered how brass cartridge cases are formed, or how bullets are made, starting with raw materials? Federal Ammunition (a division of ATK) has created an interesting video that shows how factory-loaded ammo is created, from start to finish. The video shows how cartridge brass is cupped, drawn, sized, annealed, then finished-formed. In addition, you can see how bullets are formed then inserted in cartridges with automated machinery. This is a fascinating video, worth watching. A second video, produced for the Discovery Channel’s How Stuff Works TV show, illustrates how bullets are made at the Sierra Bullets plant. 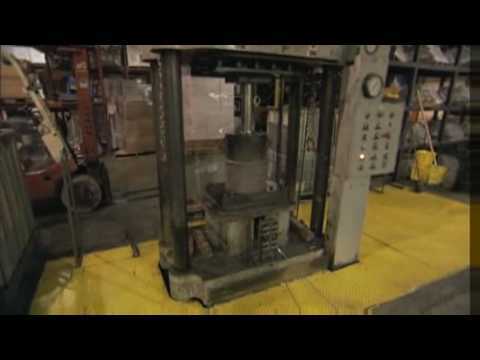 Watch 80-lb billets of lead being drawn into wire to be used as bullet cores. Then see how copper jackets are formed, lubed, sized and combined with bullet cores to create the finished product — precision bullets for hunters and match shooters. Thanks to German Salazar for finding these two videos. Share the post "Videos Show How Loaded Cartridges and Bullets Are Crafted"